Provided photo On Sept. 9, Mary Frances Rodriguez of Design52 Creative Services partnered with the Piqua Public Library to host “A Proper Afternoon Tea” for 24 guests. Library Director Jim Oda servevd as “butler” for the event. Provided photo The ladies who attended “A Proper Afternoon Tea” on Sept. 9, enjoyed a variety of tea sandwiches, finger foods and desserts, along with hot and iced teas, and a short program on the history of tea. 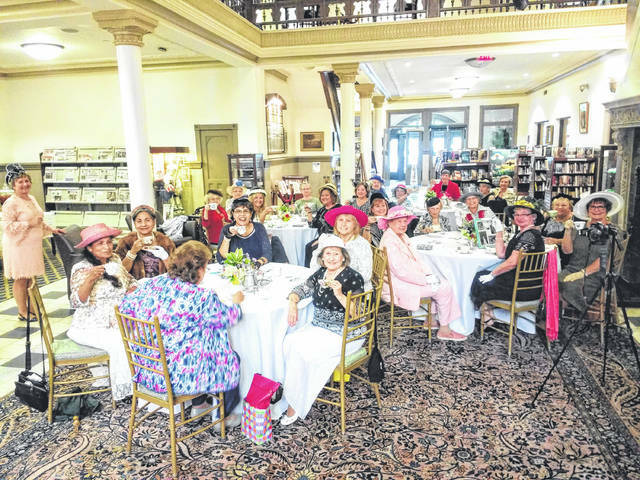 On Sept. 9, Mary Frances Rodriguez of Design52 Creative Services partnered with the Piqua Public Library to host “A Proper Afternoon Tea” for 24 guests. Library Director Jim Oda servevd as “butler” for the event. 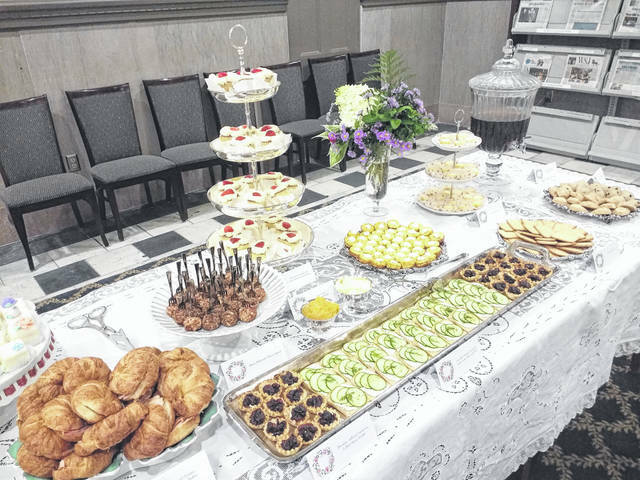 The ladies who attended “A Proper Afternoon Tea” on Sept. 9, enjoyed a variety of tea sandwiches, finger foods and desserts, along with hot and iced teas, and a short program on the history of tea. https://www.dailycall.com/wp-content/uploads/sites/30/2018/09/web1_ladies.jpgProvided photo On Sept. 9, Mary Frances Rodriguez of Design52 Creative Services partnered with the Piqua Public Library to host “A Proper Afternoon Tea” for 24 guests. Library Director Jim Oda servevd as “butler” for the event. https://www.dailycall.com/wp-content/uploads/sites/30/2018/09/web1_foods.jpgProvided photo The ladies who attended “A Proper Afternoon Tea” on Sept. 9, enjoyed a variety of tea sandwiches, finger foods and desserts, along with hot and iced teas, and a short program on the history of tea.